Today I have the best Retinol Serums for you- I mean Sera... did you know that the plural of serum is sera? LOL! I just googled it - but I doubt anybody would look up "best retinol sera" -that´s why I continue to use "serums" lol! 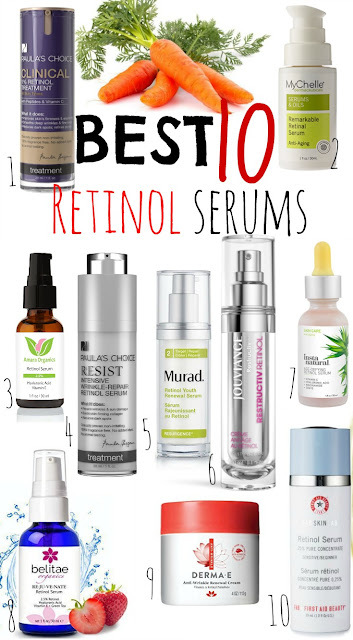 Besides a good Vitamin C serum (find my best choices here) a good Retinol serum is definitely what you should include in your anti-aging skin care regime! 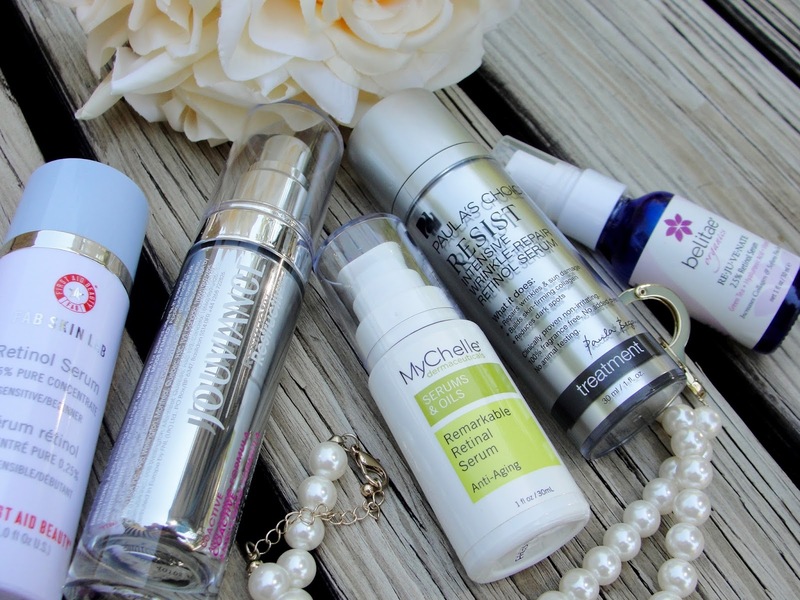 And here are my favorite Retinol serums (sera). lol. 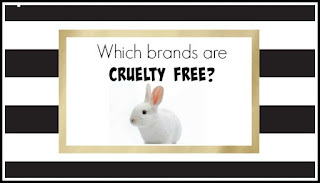 And yes: all my choices are of course cruelty free! This is probably the strongest Retinol Serum and one of the best- however if you have never used Retinol, it might be a little too strong to start for you! Retinol exfoliates your skin and you will notice "shedding" of your skin and maybe even feel irritated. It is a good idea, to only use it in the beginning every couple of days and then adjust to daily once you are used to use Retinol. This is the more "organic" site of Retinol and feels also very moisturizing. Really like it! One of my favorite Retinol serums- not as strong as No.1 but therefore a great solution to use every single night. I like the texture that literally glides on my skin- feels at first almost oily- but then: Bam vanished in my skin and no greasy feel whatsoever. I find it exfoliates fabulous and gets rid of old skin layers! Also: lasts forever. I can easily go 1 year with a bottle! This is another wonderful Retinol serum! 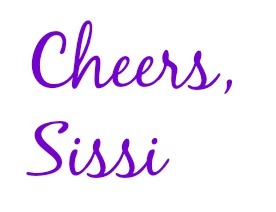 Light and easy to apply and brings you fast visible results! If you like the convenience of a Retinol serum with a moisturizer- then this one is a great choice! Feels moisturizing, hydrating and gives you the needed Retinol -all in one! Another affordable solution for the gals that don´t want to spend and arm and a leg for a Retinol serum. I am a fan of the Vitamin C serum by belitae and the Retinol serum is also a winner. A light gel-like consistency makes applying it a snap. Here we have something for those ladies that have super dry skin- this is a heavy moisturizer that includes Vitamin A and helps you to fight those wrinkles! This is a great choice for sensitive skin ladies- the Retinol strengths is low enough to not be irritating- yet high enough to still be effective!